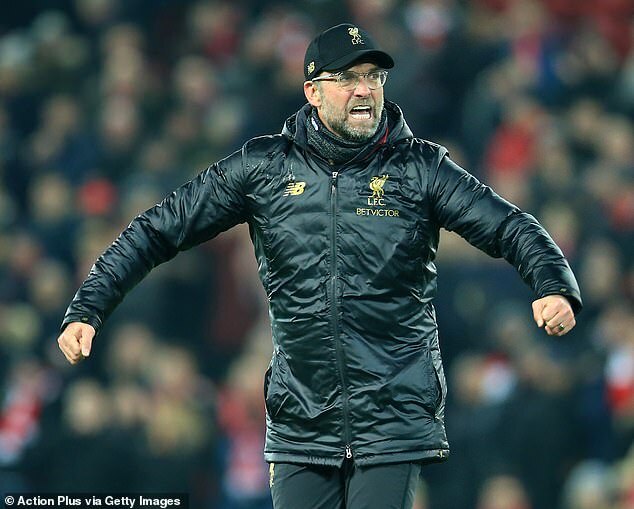 Former Manchester United boss Jose Mourinho has claimed Pep Guardiola andJurgen Klopp were afforded more luxuries than him in the Premier League. 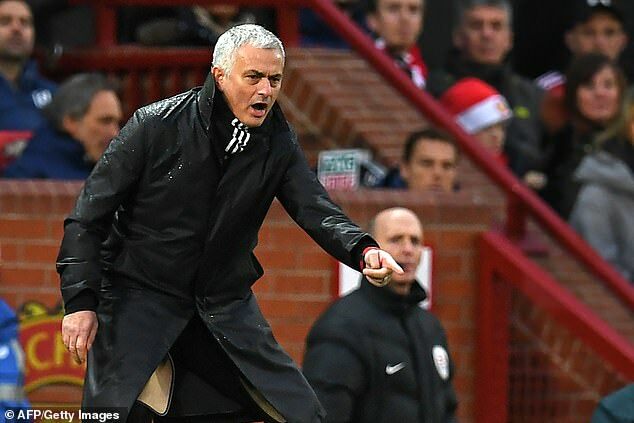 Mourinho appeared to struggle to secure his intended transfer targets in the summer at Old Trafford, but Guardiola and Klopp have not had that problem. 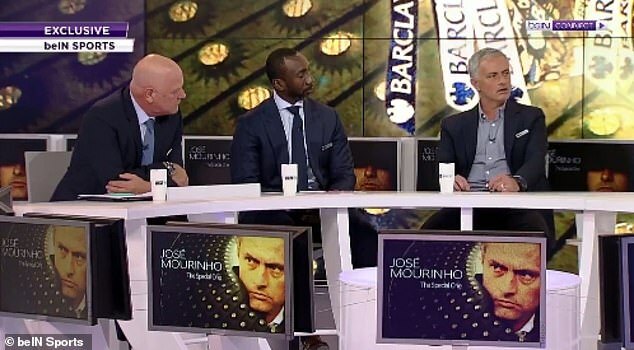 ‘For me it is more complicated as a manager as I don’t focus on the football itself, I have to focus also in what is to prepare the future,’ Mourinho said during his punditry stint on beIN Sports — his insight so fascinating that the broadcaster even split-screened the match to take in more of the 55-year-old’s comments during the action. ‘I think the future starts to be prepared with principles. That is more important than the football you watch and comment on. It is more important the culture you bring to the club, the principles, so it is a bit more complex. 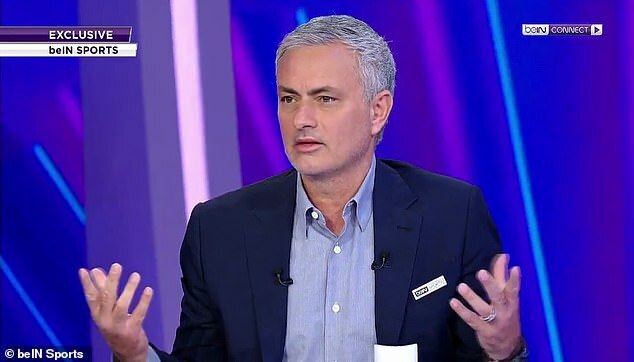 ‘But you have the case of Manchester City. In the first season, Guardiola was not a champion, it was really difficult and people were expecting a winning Manchester City. ‘They were coming already from winning period, champions with (Roberto) Mancini and (Manuel) Pellegrini. 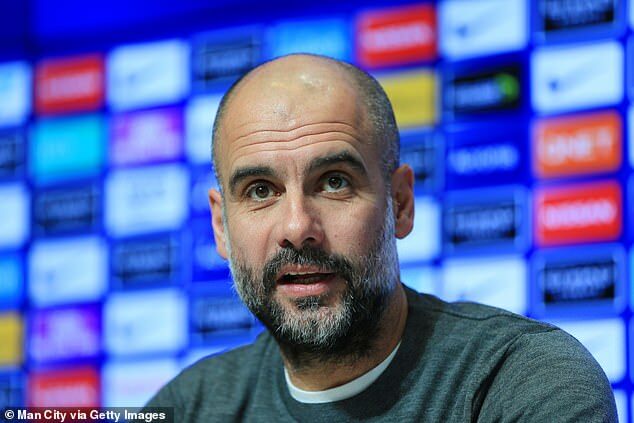 Some of the players were already champions twice, (Sergio) Aguero and (Vincent) Kompany, and in the first to the second season Pep made great decisions, but great decisions that were supported. ‘For example, he didn’t want (Pablo) Zabaleta or (Bacary) Sagna, two right-backs, and he didn’t want (Aleksander) Kolarov or (Gael) Clichy. In the same summer he sold four full-backs and got four full-backs. He got (Kyle) Walker, Danilo, (Benjamin) Mendy and another. He was supported. ‘In Liverpool, I think how many players were in Liverpool before Jurgen arrived? No Alisson (Becker), no (Virgil) Van Dijk, no (Andrew) Robertson, no (Mohamed) Salah, no (Roberto) Firmino, no (Sadio) Mane, no Fabinho, no (Georginio) Wijnaldum, no (Naby) Keita, so this is work in depth. ‘So when I speak about leadership related to the structure of the club, it is not just leadership, it is everything, even the football ideas. Mourinho also believes the mentality of players is changing. 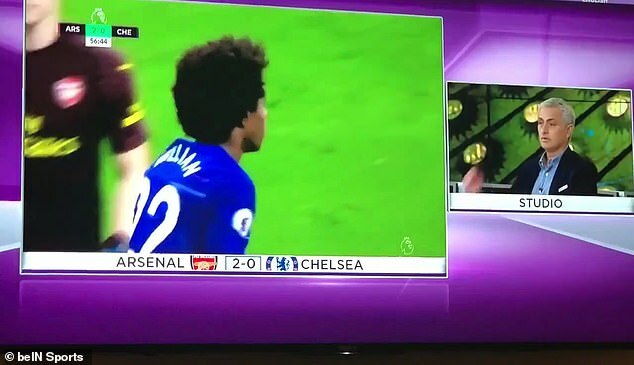 ‘I had recently one of my players, I was just coaching them, and when I coach on the pitch I like to see myself free because I am in family and I want to be able to criticise everyone,’ he added. ‘I had one player say, he was very polite and not confrontational, ‘Please when you criticise me, can you do it in private?’. I said why and he said, ‘Because it’s my stature in front of the other players, when you criticise me I don’t feel comfortable’. 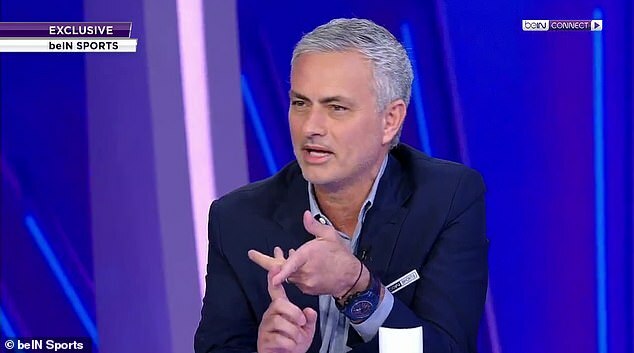 Mourinho later revealed he has already turned down three job opportunities since leaving United last month. ‘I am happy with these three weeks, I am happy with this experience and I am going to have other experiences that normally I cannot have,’ he added. ‘But I know me, and I know by the end of March I will be struggling with my happiness.